Copyeditors read copy before it is in final form in order to fix anything that’s wrong with its grammar, spelling, logic, structure, accuracy, consistency, or coherence. They make corrections, ask questions, and make suggestions. They might rewrite. They usually defer to a style guide (like The Chicago Manual of Style) and a specified dictionary. The copy they look at is usually typed and double-spaced for easy editing. Proofreaders read copy after it has been finalized. Often the copy they look at is in “proof” form—that is, it has been typeset as a book or article—and it’s ready for one last look before publication. The goal is not to edit, but to check more mechanically that the typesetting perfectly matches the final version of the edited copy or that the last round of corrections was done correctly and no new errors were introduced. Bonus definition: Copywriters (not surprisingly) write copy, often advertising or publicity copy. In a professional setting, their work will eventually be scrutinized by a copyeditor and later by a proofreader. 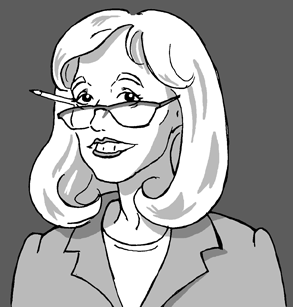 Carol Fisher Saller is editor of the CMOS Online Q&A and author of The Subversive Copy Editor: Advice from Chicago (or, How to Negotiate Good Relationships with Your Writers, Your Colleagues, and Yourself). You can find her on Facebook and Twitter (@SubvCopyEd).